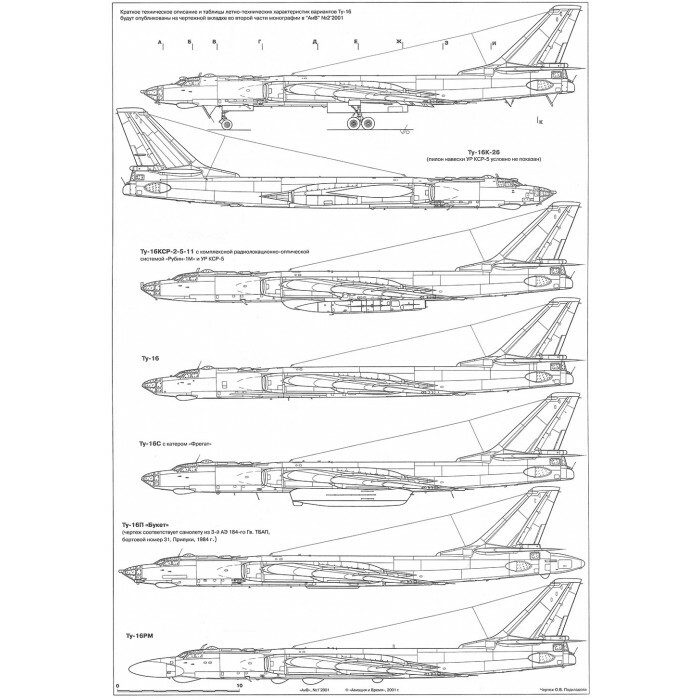 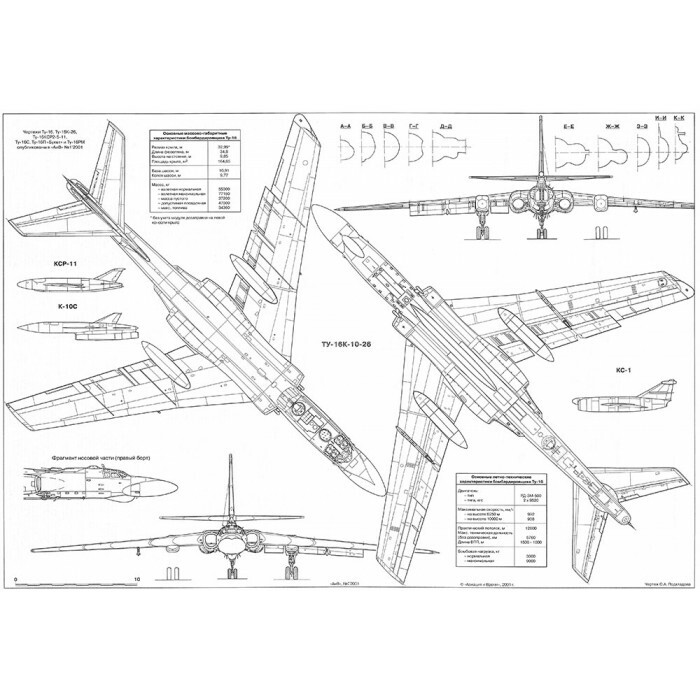 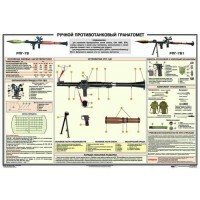 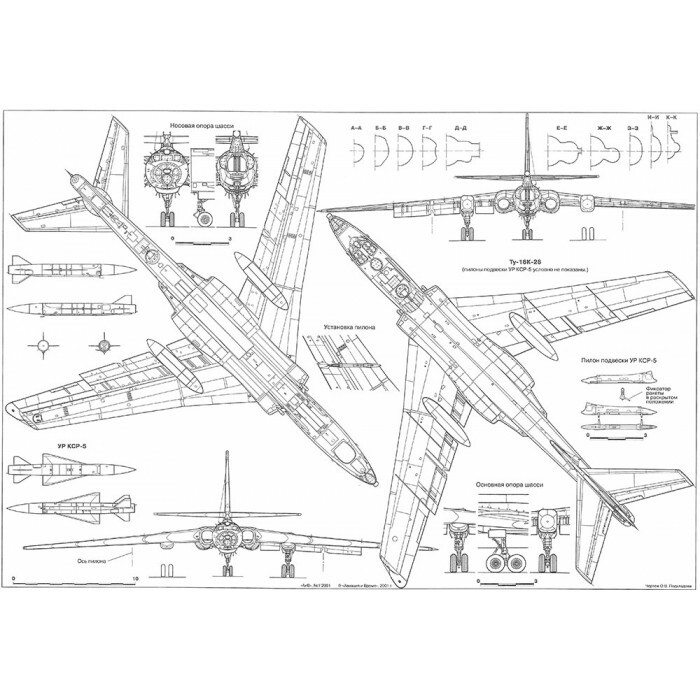 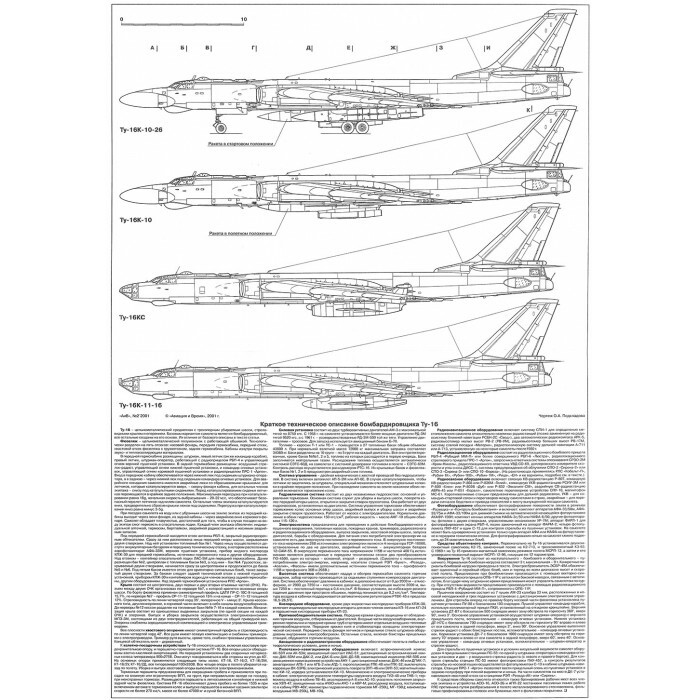 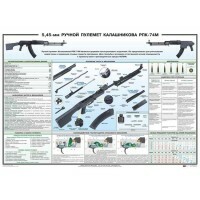 This is a very high quality reprint of the Aviation and Time magazine scale plans of the famous Tupolev Tu-16 Badger. Scale drawings of Tupolev Tu-16, Tu-16K-26 with KSR-5 missile, Tu-16KSR-2-5-11, Tu-16S with "Fregat" boat, Tu-16P "Buket", Tu-16RM and Tu-16K-10-26, KSR-11 missile, K-10S missile, KS-1 missile, Tu-16K-10, Tu-16KS, Tu-16K-11-16 modifications. 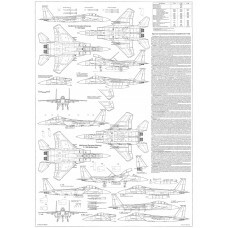 4 pages of A1 format (841 x 594 mm or 33.1 x 23.4 inches).